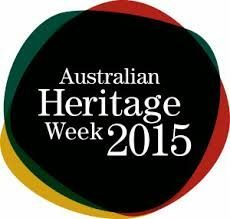 This week is Australian Heritage Week, a national celebration of our heritage, a chance to discover our built, cultural and natural heritage. This year’s program includes talks, guided walks, performances, a children’s play day and new ways to explore our heritage with the Adelaide City Explorer mobile app. There’s music, mystery, debate, contemplation and family fun. The program kicked off today in the city with the launch of the new Adelaide City Explorer walking trail, Mary MacKillop’s Adelaide. The app was blessed at St Francis Xavier’s Cathedral and road tested through a guided walk. On Tuesday, at Ayers House Museum you are invited to dissect the evidence of Adelaide’s most famous cold case. A panel of experts comprising Associate Professor Derek Tony Elliott and forensic DNA specialist from the US Colleen Fitzpatrick will consider the evidence around this unsolved mystery. Who was the man found dead on Somerton Beach in Adelaide? Was he murdered? Follow the debate and join a guided walk around significant sites in the city related to the case and draw your own conclusions. Free event but bookings recommended. On Wednesday, acclaimed US architect Eric Carlson will speak at the University of South Australia on the distinguishing factors that give luxury brands global appeal and how to create inspirational places and spaces for the City of Adelaide. Free event but bookings required. Thursday evening, take a walk on the wildside with Haunted Horizon’s Dark History tour of the city, from 6-8 pm. On Friday April 17th, join us to discover Heritage reborn in the city. Some remarkable transformations of Adelaide heritage buildings have been achieved to preserve their integrity and adapt them for contemporary use. Enjoy morning teas at the recently re-opened Electra House on King William Street and take a guided walk led by architect and Adelaide City Councillor Sandy Wilkinson to some of the most significant sites using the Adelaide City Explorer trail Heritage Reborn. Optional lunch follows at A Hereford Beefstouw on Hutt Street. There is a charge for this event and you can book here. Saturday April 18th is International Day of Monuments and Sites, a day to celebrate heritage places of local, national and international significance. This year we will be introducing some of the city’s famous and less well known monuments with a public talk and guided walk from Simon Camerton’s Silent Witnesses. Talk commences at 11 am. Guided walk from 12.30 pm. Ayers House Museum, 288 North Terrace. Free event. On Sunday, we will be taking a guided walk from the Adelaide Botanic Garden to a number of the city’s most significant trees using the new Treasured Trees trail within the Adelaide City Explorer mobile app. Meet at the Museum of Economic Botany in the Garden at 2pm. Free event. 2 hours. To do more exploring in the city, download the Adelaide City Explorer mobile app or visit the website.